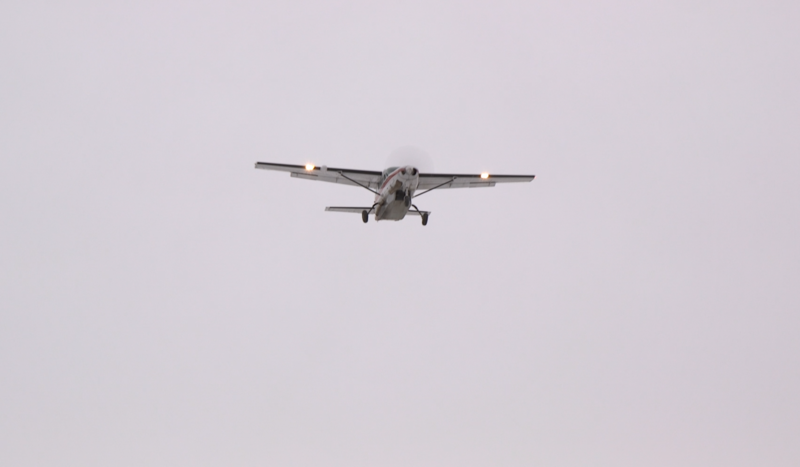 The National Transportation Safety Board report says that the pilots flying a Cessna Caravan and a Piper Super Cub did not see each other till possibly seconds before they collided in the air near the Yukon River village of Russian Mission. The 2016 mid-air collision killed all on board. Russian Mission, like many Alaskan villages, does not have a control tower. In those situations, pilots taking off usually radio their intentions before departing. Hageland, the company operating the commuter flight Caravan, says that their pilot, Harry Wrase’s, departure call was not heard because Zach Justin Babat, flying the Piper for the guiding service Renfro’s Alaskan Adventures, was not monitoring that frequency. Neither plane carried cockpit display equipment that would have allowed each to visually monitor the other’s position. The report suggests that pilots in even remote parts of Alaska need to be more vigilant in watching out for other aircraft. The five people who died in the crash included the two pilots: Babat of Montana and Wrase of Wasilla. Both were in their 40s. The three passengers killed in the crash were 40-year-old Jeff Burruss of Haines, Steven Paul Andrew, a 32-year-old from Kenai, and Aaron Jay Minock of Russian Mission. He was 21. Correction: A previous version of this story said that the report found the pilots did not see each other until minutes before the collision over Russian Mission. The story has been changed to say the report found that the pilots "did not see each other till possibly seconds before they collided before they collided in the air near the Yukon River village of Russian Mission."